File Transfer Wizard – By pressing F2 you can now transfer all your files into automatically named and organised folders. 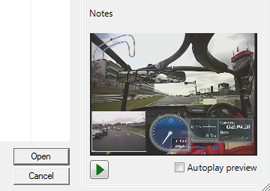 Video preview – A video thumbnail allows you to quickly locate and rename the correct file. Multiple files – You can now select and load multiple files simultaneously. The video engine has been revamped to allow a range of slow motion and fast forward functions. 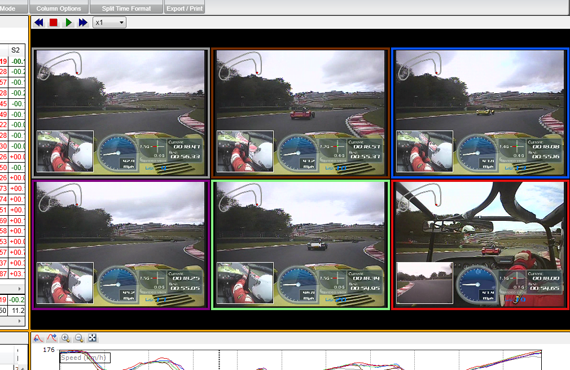 Up to six videos can now also be played at the same time to allow you to compare a range of track data. A lot of changes have been made to make the software easier to operate. For example, by pressing the stop button twice you can now replay the file from the last stop position, or by pressing it three times jump to the beginning of the section displayed in the graph. We have redone the Manual and Quick Start Guide video to provide you with the information you need to get the most out of the software. They give you real tips and are well worth checking out.